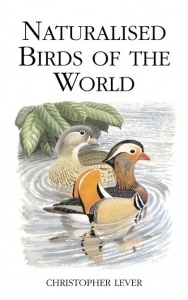 This book looks at the world's naturalised (successfully introduced) species of bird. Many species have been introduced to countries outside their natural range by people, either deliberately or accidentally, with varied consequences for both those species themselves and the native fauna of their 'new' homes. In Britain, the introduced Canada Goose has quickly become ubiquitous at every lake and riverside, while the Golden Pheasant remains a scarce and unobtrusive inhabitant of a few scattered, remote woodlands. The House Sparrow and Common Starling, both in decline over parts of their native range, are thriving in a naturalised state in North America and elsewhere in the world. Naturalised populations of Mallard in various parts of the world are threatening a total of seven other duck species with extinction through hybridisation. This book discusses each species in turn, describing how, why, when and where its introduction took place, how it became established, and the ecological and economic impacts its presence has had in the country or countries it is naturalised in. Each account has a map, showing natural and introduced range, and there is a wealth of beautiful line drawings of the species concerned.